Diatomaceous-earth (DE) pool filters are among the more effective methods of pool filtration, but they can develop some problems, particularly if you don't adhere to a proper maintenance schedule. As a pool owner, It is important for you to keep a close eye on the filter to prevent damage, and be able to troubleshoot when problems arise. In order to troubleshoot a DE pool filter it is important to know how the filtration system works. DE filters use DE powder housed in filter grids set up on a lateral line inside the pool's filter block. The filter block has a backwash valve that is used for washing out old DE powder and making way for new powder. DE powder consists of tiny fossilized diatoms that have small holes that can trap even the tiniest debris when water passes through. The powder is held in the grids of the pump with pressure and a very fine mesh sheet at the bottom of the grid. 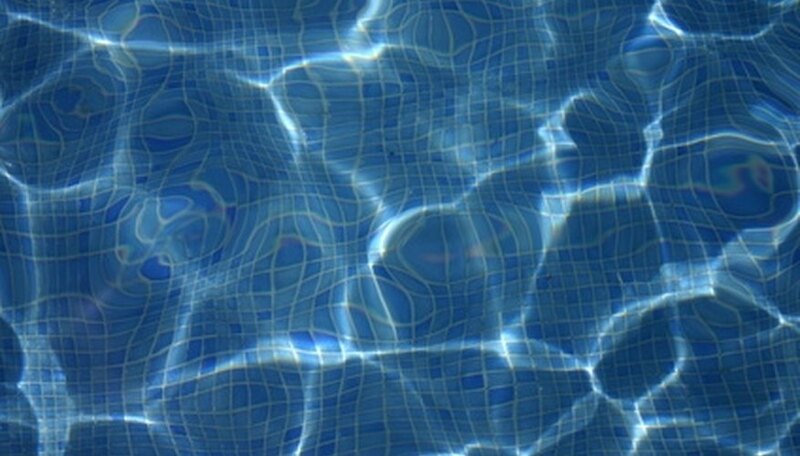 The most common problem with DE filters occurs when DE gets blown back into the pool. In most cases this is caused by a tear in the mesh at the bottom of the filter grid. The leak could also be coming from a collapsed grid. In most cases the problem can be easily identified once the filter housing is dismantled and inspected. If there are no tears or gouges in the grid or mesh, check the lines for leaks. The lines also could have a bad O-ring or clamp. If you notice any leaks at any of the connections, replace the O-rings and gaskets in that area. The easiest way to prevent damage to a DE filter is to keep a regular backwashing schedule. If the DE is not regularly backwashed, it becomes clogged and makes the water flow at a higher pressure. This, in turn, can cause grid collapses and tears in the filter mesh. The increased pressure can also cause damage to O-rings and gaskets. It is also important to have the grids acid-washed at your local pool supply store in the off season. If the grids are not acid-washed, DE will build up and cake onto the grids and mesh, making the lines clog in the next season. Taking simple preventive steps can drastically improve the filter's performance.